The program features training on media-related issues for attorneys – and a fun taste of beer presented by celebrated beer expert Don Russell (Joe Sixpack). Approved by the Board on Continuing Legal Education of the Supreme Court of Pennsylvania, the program focuses on media relations for attorneys whose clients and firms are in the spotlight. The program provides expert training on reducing liability and garnering favorable coverage while professionally representing client needs. The training includes practical advice on everything from dealing with reporters to promoting one’s practice. * Theresa Conroy, former reporter, Philadelphia Daily News. * Dave Davies, senior reporter, WHYY. * Denise James, former reporter, 6ABC Action News. * Jay Lloyd, former suburban bureau chief, KYW. * Harriet Lessy, founder, Buzz Communications. * Kevin Greenberg, attorney, Flaster/Greenberg. Following the training, attendees participate in a fun, relaxing beer tasting led by Joe Sixpack. The tutored session focuses on the unique flavors of various styles of beer, with food-pairing suggestions and info on the region’s beer scene. The first session is Nov. 10, 2011, at the offices of Flaster/Greenberg, 4 Penn Center, 1600 JFK Boulevard, 2nd Floor. The fee for the course with beer tasting is $225. Attendees can register online for the course at www.continuinglagereducation.com. 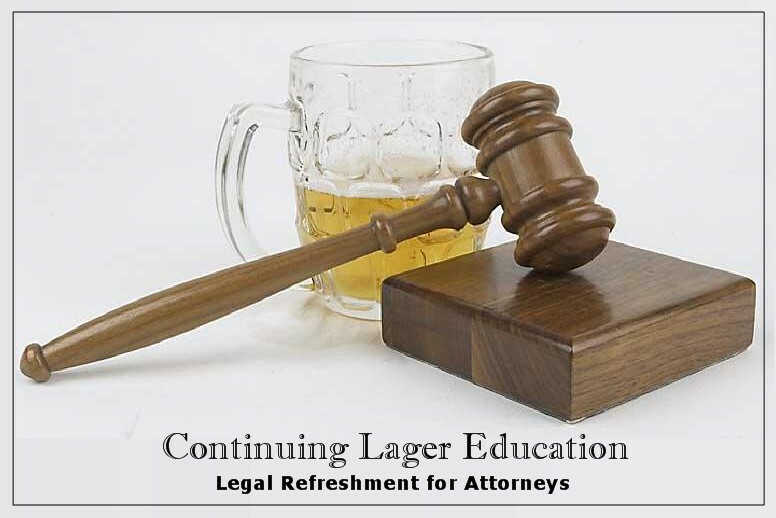 The Continuing Lager Education team is available for media-related CLE training at private law firms, and can be adapted to programs from other accredited CLE providers. For more information, visit www.continuinglagereducation.com or contact info@continuinglagereducation.com. Don Russell (aka Joe Sixpack) is one of the world’s leading beer journalists. A career newspaperman with 35 years’ experience, he has written the weekly Joe Sixpack beer column at the Philadelphia Daily News since 1996. He is the author of three books about beer and a frequent guest expert on radio and TV programs. His is also a founder and the executive director Philly Beer Week, the world’s largest beer celebration of its kind. Flaster/Greenberg PC is a full-service, commercial business law firm serving clients across a range of industries in the public, private, government and nonprofit sectors. Its six offices in New Jersey, Pennsylvania and Delaware are strategically located within the mid-Atlantic corridor in close geographic proximity to the hubs of business, industry and government. Clients include individuals as well as companies in all stages of growth and development, from entrepreneurs and start-ups to established family businesses and large Fortune 500 corporations.